More needs to done to promote Welsh language children's books, the children's poet laureate of Wales has said. Anni Llyn said plenty of Welsh language books are published but they are not given as much attention as those by famous authors who write in English. The children's author has been laureate for two years. 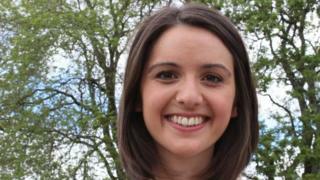 She called for more funding to go into promoting and marketing original Welsh language books. She told Cymru Fyw: "I'm aware that it is hard to persuade people when you have something easy to promote. "Books that have been translated into Welsh and adaptations of popular authors like Roald Dahl and David Walliams - they have their own PR machine. "The work has already been done promoting those books. "I would like to see more funding going into promoting and marketing children's book, in children's environment, in the schools." Ms Llyn said a "lot of good work is being done" but increased promotion was something that needed addressing in the next few years "before the situation becomes worse". While there are many original Welsh language books, many have been translated into Welsh from English and the readers are often well-acquainted with the characters, she said. This means children do not learn about new characters and seeing how the story develops, Ms Llyn said. "They know what the story is. They've seen the film and they know the English version. I see that as a great shame in terms of inspiring children," she added. The Welsh Books Council agreed more needed to be done and authors, publishers and other organisations had to work in partnership and "share the responsibility of promoting and marketing". It also pointed to schemes in place to promote reading, such as the Tir na n-Og awards, the Reading for Wales and Bookslam competitions, Book Day and the LlyfrDaFabBooks campaign. The Children's Poet Laureate of Wales' role is to introduce children to literature and encourage them to enjoy and create poetry. During her tenure, Ms Llyn has been travelling around Wales, organising workshops in schools.